It's been two months since our last development blog, so we thought it was time for another one! We're still working on fine tuning the large islands as well as the new enemies, and have yet another large feature that will come along with them in the next update, which will hopefully go live soon. No, we don't mean a literal school for fish. We mean small, cute fish which will swim around the reefs and create a more aesthetically pleasing environment while you explore the world of Raft. These fish will not be catchable, and will swim away if you get too close to them! We're happy to announce that you will soon be able to chat with your pals in-game rather than using another platform such as Discord. We unfortunately don't have any pictures to show today. We've been investigating an issue with lights drastically decreasing the overall FPS, and have come up with a fix that will now greatly increase FPS when having a lot of grouped lights. It also reduces the amount of overexposure when placing lights close to each other, making for a more aesthetically pleasing raft. Another major performance issue is the collision meshes of big rafts. We are actively investigating this in order to find a solution. This is unfortunately not very likely to come with the next updates. A toggleable option will be added to the setting menu that will turn off swaying and waves completely, so those of you who get seasick / motion sick can still go on a rafty adventure! The Game Mode Update WELCOME! We have listened to you guys, and are now bringing new game modes to make for more exciting gameplay in Raft, as well as some much-requested gameplay features! PEACEFUL MODE Peaceful mode is now a thing. This mode has the same settings as easy mode, but with the added feature of all enemies being passive; so you can enjoy the calm breeze without having to worry. UPDATED HARD MODE Hard mode have gotten a makeover: there's now a chance of multiple sharks spawning when you kill one, and the sharks health has been increased a bit (5 hits instead of 4) for it to go away. The shark will also attack in a more frequent, but random pattern, which should make for more exciting gameplay. We aim for this to be a mode where you should think and calculate the chances you take - before you take them. As always, we appreciate feedback, so yell at us if it's too hard. :) Food and Thirst is also harder to sustain, and all enemies have had their damage increased. 3RD PERSON MODE Third person mode has been added to the game (default key is comma ,) - just take a look here: FOUNDATION ARMOR Upgraded game modes, upgraded security. Bruce is annoying in late game, and isn't really a threat to those well equipped to fight him off - for this reason, we have decided to make foundation armor untargetable for the shark: so you will now be able to completely fortify your raft, and not have to worry about pesky shark attacks any longer. Enjoy! NOCLIP MODE This one is quite amazing, and we're really looking forward to see how people utilize this. This is only available in creative mode, and allows you to fly around to view your raft, or even build/paint in noclip if that's what you wish to do (default key for this is N) - take a look: CHANGELOG Added peaceful game mode and updated hard game mode. Added 3rd person view in all modes and noclip mode in creative. Updated foundation armor to be untargetable/immortal to Bruce. Added schools of fish around normal islands as requested by you guys. Added fall damage to all game modes besides creative. Shark bait now lasts 30% longer in hard mode. We improved loading times when loading into a game. Modified food and thirst decrease a bit to be more fair. Fixed an issue with the seagull attacking crops in creative. Fixed an issue with lighting (no lights at night). Fixed an issue with multiple sharks spawning in non-hard modes. Raft Game Crafting Guide - Rough & Tough Raft is a survival simulator known for crude, simplistic graphics, but pretty challenging gameplay. You are trapped on a shaky and dodgy raft amidst gigantic ocean. And your success at staying alive solely depends on how well you'll learn crafting-cooking. Our Raft guide will introduce you to the basics of crafting equipment and also a couple of useful tricks. 1. How to drink water in raft survival Surviving in Raft is impossible without drinkable water. Fortunately, you are surrounded by the water. But you cannot drink it unpurified. First, you'll need the Empty Cup: Collect 4 plastic pieces. Press TAB. Craft the Cup. Then it's Water Purifier: Put ocean water in the Cup. Add a few planks to lit the fire. Select the Purifier in the hotbar. Press the Use key. Wait until the water boils for some time. Collect the drinkable water. Crafting the Purifier costs 6 Palm Leaves, 6 Wooden Planks, and 4 Plastic Pieces. With time you'll be able to upgrade the Purifier and produce more drinkable water: it can have up to 5 cups at the same time and doesn't require spending the Wooden Planks. It will cost you 8 Planks, 6 of Plastic and 4 of Glass. 2. Food There is plenty of fish in the sea, and you must catch it to stay alive. There are two fishing rods: Wooden Rod - costs 6 Planks & 8 of Rope. Can get you 10 fish maximum. Metal Rod - 1 Bolt, 8 of Rope, 3 of Scrap. 30 fish max. Fishing technique is quite simple: cast the fishing hook into the water. You'll hear the splash sound, and then the fishing line will start moving: left-click your mouse quickly. Voila - the fish is in your inventory. But your fishy must be cooked before put on the dishy. You'll need the Grill. There are two types of Grill: Simple Grill - 6 Planks, 1 Scrap, 6 of Rope. It can only cook one food piece at a time and accepts medium-sized chunks of fish, potatoes, etc. Requires planks as fuel. Advanced Grill - 6 Planks, 2 Metal Ingots, 6 Nails, 2 of Rope. It's big enough to cook three small food pieces simultaneously or one huge chunk of food. You can grill the whole catfish/salmon on it. Requires planks as fuel. Apart from fishing, you can also launch your own autonomous food production - grow crops right on the raft! For that you will need: Crop Plot - it comes in three sizes: Small (3 seeds), Medium (2 seeds) and Large (1 seed). However don't be surprised, the bigger the Crop Plot is, the more nutritious/useful crops it can produce: from Raw Potatoes and Beet to Pineapple Seed and Palm Seed for crafting Planks. Watering - naturally seeds need to be watered. Purifier and Empty Cup will manage that task. Scarecrow - every once in a while seagulls will attempt to pillage your Crop Plot. To frighten the feathered marauders, craft the Scarecrow: 5 Planks, 3 Palm Leaves, 3 Nails, 3 of Plastic. Every three seagull attacks will make the Scarecrow lose a part of its body. These are the fundamental ways of obtaining food in Raft game. Additionally, you can harvest pineapples, mangos, coconuts, and watermelons on the desert islands. For that you'll need: Axe - 8 Planks, 2 Scraps, 4 of Rope, 1 Bolt. Cut down the fruit trees with it: 60 chops are granted maximum. Stair Set - requires Plank + Nails and can be used for jumping off of it directly on the island ground. Contrary to popular belief, three eggs generated through the Bird Nest cannot be grilled, but they still serve as an easily renewable source of nutrition. Craft it with 6 Palm Leaves, 6 Planks, 1 Giant Clam and allow seagulls to rest on it. Note: this maneuver is not available in the Peaceful mode. 3. Resources In the beginning, Plastic Hook will be your best friend. Craft it for 1 Plank and 2 of Plastic. All types of resources necessary for building your newbie's survival kit and extending the raft will be floating around. Spot debris and throw your hook at them. Occasionally you may lay your hands on the barrels that are similar to treasure chests. They can contain food, seeds, materials and more. Note: The Plastic Hook can procure only 38 items in total. That's why the initial equipment you should build first is: 1) Water Purifier. 2) Fishing Rod. 3) Simple Grill. Then craft a new Hook and collect materials for the items that will economize your time and effort: 1. Scrap Hook 6 Scraps, 2 of Rope, 4 Planks, 1 Bolt. It's much faster and more durable. The range of the Scrap Hook is 1/3 bigger than that of its plastic counterpart. 2. Collection Net 5 Planks, 8 Rope, 2 Nails. It automatically collects and stacks the materials/items floating by. Everything you're supposed to do afterward is collecting them. Collection Net can be learned via the Research Table. 3. Metal Spear 6 Planks, 2 Rope, 2 Metal Ingots, 1 Bolt. The self-protection weapon used for warding off the sharks, tending to damage your raft. 4. Storage 8 Planks, Rope 3, Hinge 4, Scrap 1. Storage serves as extra inventory, which allows to deposit the excess of resources for later use. 20 slots are available maximum. Another way to scavenge for resources is to dive into the ocean and look underneath your raft. You will need: Oxygen Bottle - Plastic 8, Rope 4, Empty Bottle 1, Goo 5. It grants you a longer time of underwater exploration. Flippers - Plastic 6, Seaweed 6, Vine Goo 5, Rope 4. Higher underwater speed. Shark Bait - Rope 2, Raw Herring <2, Raw Pomfret <2. A shark will be distracted for 80 seconds. While underwater you'll spot various collectible resources - fetch them. 5.How to Build a Boat in Raft Original Survival Game If you’ve been asking yourself How to make a boat? Can I get something fancier than this dodgy little raft? Then wonder no more: in Raft you can build not just simple boats, but also aircraft carriers, cargo ships, and yachts! Basically your ambition and imagination are limited only by the number of resources you can spend. For remodeling your raft into something bigger you will need: Collecting a lot of building materials, especially Wooden Planks and Plastic. Building a hammer. Decorations: chairs, lanterns, signs, shelves. 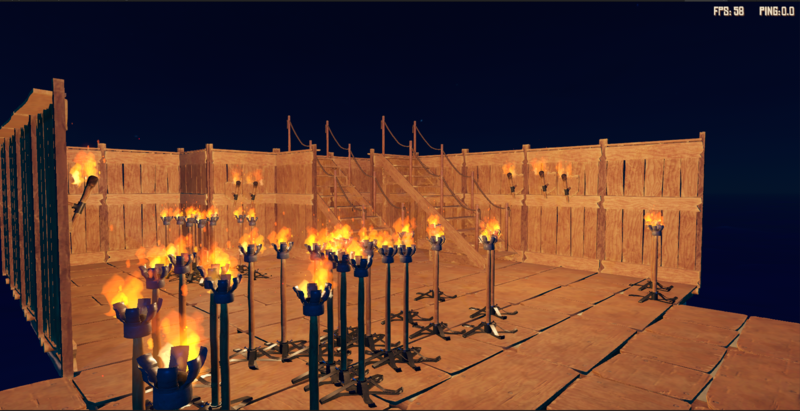 Structures: doors, thatch walls, wooden pillars, ladders, wooden windows, etc. Meanwhile, it seems like an unbeatable task in Raft Original Survival game mode, you can practice your ship-designing skills in the Creative mode, in which you have as much of resources as you want and no threats. Start with a vast foundation by building extra tiles for your floor and then improvise by adding extra structures and elements, depending on white kind of boat/ship you’d like to create. Raft Survival Game: Tips & Strategy Guide Raft survival simulator is a game that punishes you severely for making mistakes in strategy. Starvation, thirst, marine predatory beasts and pesky birds - all of those factors will attempt to sink your little vessel of hope. While you're desperately trying to find the remnants of the human civilization. Our Raft Survival Ultimate guide will do its best to assist you. Raft survival advice for beginners I. Captain Hook You begin with nothing in your hands. On a tiny wooden raft the ocean. And your first loyal companion will be a humble Plastic Hook - 1 Plank and 2 Plastic. 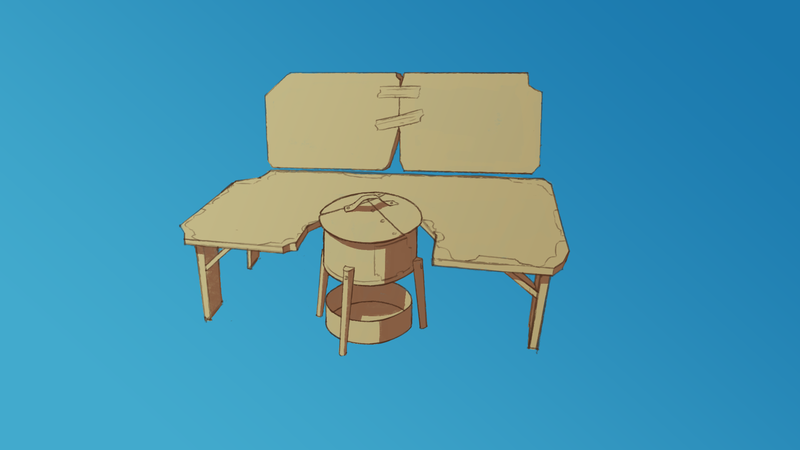 That item is necessary for hunting for debris and barrels that pass by your wooden shelter. You can use those materials to extend your raft, turn it into the full-fledged boat/floating fortress, make more equipment and produce water & food. However, it can "catch" only 38 items. II. Food & water In Raft game you are surrounded by food and water. But before being devoured, both of them must be processed. Water Water Purifier is the first item you should build. Thanks to it you won't die of dehydration. The Simple Purifier will cost you 6 Palm Leaves, 6 Planks, 4 Plastic. Its advanced "sibling" will need Plank 8, Plastic 6, Glass 4 to be assembled. The difference between the devices is that the Simple Purifier can make only 1 cup of drinkable water. Meanwhile the Advanced produces 5 cups simultaneously. Empty Cup is vital for transporting salt water to the Purifier, drinking and watering plants. It takes 4 Plastic. Later you can craft Empty Bottle for 6 Plastic, 4 Vine Goo. Filtering water: Put planks in the Purifier to lie the fire. Fill a cup with ocean water. Pour the water into the Purifier. Wait for approximately 60 seconds. The water will appear in the cup underneath the Purifier. Collect it with the cup. Food The second item to craft is the Wooden Rod - 6 Planks, 8 of Rope. Upgrade it to the Metal Rod asap - 1 Bolt, 8 of Rope, 3 Scrap. Use the rods to catch fish - mouse left-clicks, when the fishing line starts twitching. Afterward, you'll have to grill your catch. Craft Simple Grill - 6 Planks, 1 Scrap, 6 Rope. It can store small/medium food pieces. Upgrade it to Advanced Grill - 6 Planks, 2 Metal Ingots, 6 Nails, 2 Rope so a huge fish like salmon could be cooked on it in one piece. Additionally, you're able to start your own food farm - the Crop Plot. The biggest Plot will require Plank 10, Rope 4, Nail 6, Hinge 1. The Crops possible to grow include: Watermelons. Potatoes. Beet. Pineapples. Various seeds: Blue, White, Yellow, Palm, etc. The uninhabited islands are a source of free food. To do the successful snack-foraging, craft the Axe - 8 Planks, 2 Scraps, 4 of Rope, 1 Bolt and Ladder. 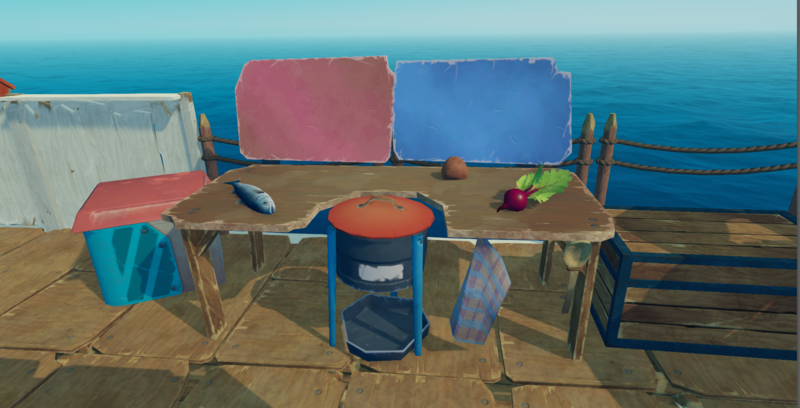 Discover recipes, make a Cooking Station (starting with the Cooking Pot), collect 4 ingredients for each recipe and a delicious meal will be made. Raft survival tips and tricks Self-defense Sharks & seagulls are your natural enemies. To deter the former, craft the Spear. The Wooden Spear - Plank 8, Rope 3 - scares a shark away at 4 strikes. Meanwhile, the Metal - Plank 6, Rope 2, Metal Ingot 2, Bolt 1 - needs only two and also only 15 strikes to kill a shark. Seagulls can be destroyed with a Spear, Basic Bow/Stone Spears or intimidated with a Scarecrow, which will guard your Crop Plot. Craft the Spear right after you get a Hook - the sharks will regularly attempt to annihilate your vessel. Stash Always have enough resources for building a new Hook & Fishing Rod. As soon as you have enough materials, invest in building the Storage. How to make a boat in raft survival 1) Craft the Building Hammer - Plank 4, Rope 2. It allows adding different structures to your initial raft or fixing it. 2) Extend the raft size by building additional Floors by aiming at the edges of the raft. Each extra-floor tile will cost 4 Plank. 3) After you establish a steady supply of food, right-click your mouse and choose from various structures: Ladders, Wooden Pillars, Doors, Roofs, Rope/Plank Fences and so on. 4) It is recommended to start with the 5x5/7x7 raft in order to add an extra storey later. The thing is that many islands will require to have up to three storeys in order to reach for extremely valuable loot. 5) Foundation Armor is worth being invested in, for it increases the health-point of any Foundation/Collection Net. Moreover, it forces the sharks to leave after they do a 25% damage to the raft. And up to 87.5% of health-points can be recovered without spending the Planks, which is quite cost-effective. Raft original survival game cheats Junk In the beginning, avoid collecting flowers - they take too much space in the inventory and serve the esthetical goals only. The Smelter Craft Oxygen Bottle, Flippers, and Shark Bait to procure Sand and Clay. They are necessary for making bricks, which are a #1 component for the Smelter, which can produce Glass, Vine Goo, etc. Collect no sweat Collection Net automatically gathers and stores resources floating by. Build them on 2 perpendicular angles. Bird eggs Seagulls will become the source of food (and partly water) if you build a Bird Nest. Don't attack the seagulls approaching it, so they can rest in it. And a brief moment later you can collect three edible eggs - no need to cook them. It's a steady food supply, but first, make sure you're not playing in the Peaceful regime. Bird meat Set up a small crop field, in the beginning, to attract seagulls intentionally. Their fried meat is far more nutritious than potatoes/beet you can grow on a small Crop Plot. Download RAFT: Original Survival Game - Free and Amazing Raft survival simulator is a game, in which you're thrown on a tiny piece of floating wood, after a new Deluge has happened. And it's up to you to figure out whether there's someone else alive in the world or not. Although such a gameplay can be quite intense, tech-requirements of the Raft are pretty humble. Naturally a lot of players want to know on which platforms Raft's eerie survival suspense can be enjoyed. How To Install Raft For Win 7, 10 etc. The game is available to be downloaded on Steam. For All Windows OS versions, starting with Windows 7. At least 3GB of free disk space and 8GB of RAM are required. The game can be purchased for $20 and installed afterwards to be played both online and offline. How To Install Raft For Mac or Linux According to the game-developers' official website, their efforts are mostly focused on improving/maintaining Raft for Windows as the primary platform. No announcements were made about Raft getting officially ported to Mac OS or Linux. However on the website raft.itch.io you can download two ported versions: Raft MacUniversal and Raft LinuxUniversal. The download link: https://raft.itch.io/raft To install the Linux version, you will have to: Download the ZIP-folder. Unzip the contents into a specific folder, where you'd like to keep the game. From Terminal run this command: chmod +x V1.04_Raft_LinuxUniversal. Depending on the system you're using, choose LinuxUniversal.x86 or LinuxUniversal.x86_64. Double-click. At this point the game should begin installation. How to Install Raft Game On Android or iPhone? There are no official iOS or Android versions of Raft as of now. The closest thing the mobile gamers can get are the games: Raft: Survival Ultimate by Vade for Android. Raft Survival - Ocean Nomad by Treastone for iOS. No plans of porting the original Raft game to any mobile platform in the foreseeable future have been announced. Hello. We are biggest Raft fans. Here we collected all useful information about this game. Latest update news, rumors about future features/ In nearest future we will add gallery and category with awesome videos. (C) 2019 raftsurvival.org. Download Raft. All Rights Reserved.